J. Kaye http://j-kaye-book-blog.blogspot.com/ tagged me for the Weird and Random Meme. 3. Write 6 random things/unspectacular quirks about yourself. 2. I don't really like reading Sci-Fi books (I am slowing finding some I like) but I enjoy watching cheesy Sci-Fi movies on TV. I want to thank J. Kaye for letting me read this book. Carrie is a vampire as well as Max, and Ziggy in addition there is Bill and Nathan who are both humans. As much time as Bill hangs out with vampires he will never understand their hunger need for blood. The Soul Eater has rallied up an army of vampires. Carrie always knew this day would come and now it’s here. Carrie is ready to put a stop to the Soul Eater even if it means she has to sacrifice her life to do so. Mulitiple ways to enter. I will pick a winner October 11th. Leave a comment and Please leave a email address as a few people have lost out on winning because they left no contact information. I was lucky enough to snag a copy of this book from the Early Reviewers Program at LibraryThing. 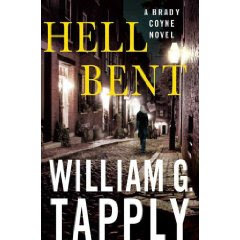 Attorney Brady Coyne is back in action and ready to take on his next case. The last person he expected to see was his ex-girlfriend, Alex Sinclair to walk into his office. Alex wants Brady to represent her brother, war veteran; Augustine “Gus” Sinclair. Brady agrees to be Gus’s divorce lawyer. Gus suffers from Post Traumatic Stress Disorder. This may be the easiest divorce case Brady has ever handled. Brady goes to catch up with Gus and finds Gus has committed suicide. What do you do when you discover that there’s someone else out there with the same name as you? In this charming story about two Georges, you will find out. 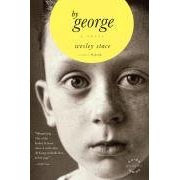 First there is George, a ventriloquist dummy and than there is George an eleven-year old boy. This story is really told and narrated by George, the puppet as told by his memoirs that he experienced as a dummy and all the travels and people he meets along the way. I thought it was refreshing as well as unique to see everything through a ventriloquist dummy’s point of view. The situations George, the dummy had to deal with were pretty amusing. As much as I liked gaining a different prospective I did have some trouble staying focused all the way through this book. There were some dry spots. Even with this being a factor I would still read another book by Mr. Stace. I definitely thought that Mr. Stace brought a lot of creativity to By George. Eleven year old, Samantha “Sam” Mae Costas live a normal, quiet life till she met Prince “Buzz” Buznor that fatal day on her grandfather’s farm. Buzz comes from a place called Innerworld. Buzz is on a mission to protect his world from the Zogs and to defeat their leader, Drogon. Buzz needs Sam’s help in order to complete his quest. Both Sam and Buzz travel to the Land of Geffen to begin their quest. Sam and Buzz go in search of the Crimson Crystal. It won’t be an easy task as they will have to fight dwarfs and monsters; through the scorching heat and even the frigid tundra’s. Who will come out victorious the Zogs or Buzz and Sam? 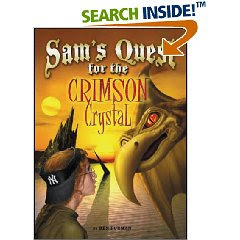 To find out you will have to read Sam’s Quest for the Crimson Crystal. Claudia Rose is a well-known forensic handwriting expert. Claudia’s latest client requires her expertise. Paige Sorensen’s husband has died. Everything was left to Paige but her stepchildren believe that Paige forged their dad’s signature on the will. Now Claudia has to prove that Paige didn’t have anything to do with the will. The more information Claudia gathers on the Sorensen family, the closer Claudia gets to uncovering all of the Sorensen’s family skeletons. Who knew you could learn a lot about someone by just their signature. Written in Blood reminded me of CSI. For the fact that the show never gets old and there are twists at every corner just like Claudia had to deal with in Written in Blood. 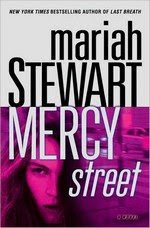 Take a road trip with Claudia as she travels to “Sin City” Las Vegas in this fast paced story that author, Sheila Lowe has weaved for readers. 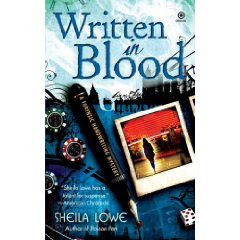 I look forward to many more great reads by Sheila Lowe. Thanks to Hachette Book Group I have 5 copies to give away. Five year old Sharla Cody is sent to live with seventy-year old, Addy Shadd. Addy is in no way related to Sharla but she is the first person who answered her door when Sharla’s mother, Colette knocked and offered to take Sharla for the summer. Addy lives in a trailer park. She is all alone, so when Colette is looking for someone to take Sharla; Addy agrees. It will be nice to have someone to talk to again. Sharla and Addy will teach each other things despite their age differences. Everyone around Isabelle Carson are dying. The police aren’t concerned because to them these people took their own lives. Isabelle does not want to consider that could be possible especially when two of the people were Isabelle closest friends. Isabelle knows they won’t kill themselves when they have little kids around. Isabelle calls Grant to warn him. When Grant receives Isabelle message he comes running right away to protect Isabelle but Grant might be the one that needs protecting from Isabelle. The longer Grant is around Isabelle the faster he is falling in love with her again. You know the saying “Fool me once, shame on you; Fool me twice, shame on me.” Well Rachael Henderson is really familiar with it. She had been left at the altar twice now! Watch out as Rachael is out for revenge and what better place to get your revenge then Rachael’s hometown… Valentine, Texas. A town full of romantics and believers of true love. The last person Rachael expected to see what Sheriff Brody Carlton. Rachael’s first crush. Sheriff Brody Carlton gets called out because someone is defacing Valentine’s famous red lipped billboard. When Brody arrives at the scene, he can’t believe his eyes. He finds a woman wearing a wedding dress painting the lips black. Rachael wants to help the people of Valentine, so she creates Romanceaholics Anonymous. So people don’t like Rachael coming in and stirring up things. Before you know it the residents of Valentine are divided. 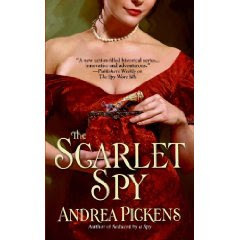 Sofia will take on a very dangerous mission that will cause her to go undercover and even risk her life in order to bring justice to some powerful aristocrats here in London. It will take everything Sofia has both mentally as well as physically. Sofia though will have to keep on her toes if she doesn’t want to be caught. The handsome and dashing, Lord Deverill Osborne is keeping his eyes on Sofia. Lord Osborne finds himself enamored by Lady Sofia’s beauty in addition to what sinful secrets Sofia has hiding under her dress. Boy this is going to get interesting quickly between Sofia and Lord Osborne. Ok so no review today. 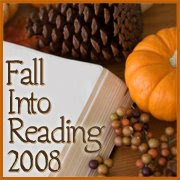 I am going to do things different today and show you some books you need to add to your wish list to get. 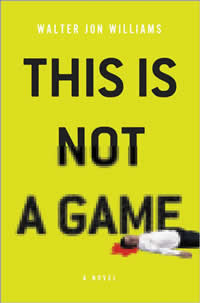 THIS IS NOT A GAME is a novel built around the coolest phenomenon in the world. That phenomenon is known as the Alternate Reality Game, or ARG. It’s big, and it’s getting bigger. It’s immersive and massively interactive, and it’s spreading through the Internet at the speed of light. To the player, the Alternate Reality Game has no boundaries. You can be standing in a parking lot, or a shopping center. A pay phone near you will ring, and on the other end will be someone demanding information. You’d better have the information handy. ARGs combine video, text adventure, radio plays, audio, animation, improvisational theater, graphics, and story into an immersive experience. I want to thank Joan Schulhafer for sending me this book to review. American Quest is one of two new books from The Story Plant a new publishing company. Gloria and Bruce are lovers. Their love is a true love. 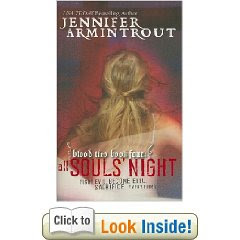 One night during the Reach Out and Read fundraiser Gloria meets a mysterious man by the name of Mr. Aaron Vance. The next thing Gloria knows is she is waking up in a strange world, where she has been imprisoned by a Macul identified as Envervata. Enervata has taken Gloria because if he can make her fall in love with him then he can gain control and enslave humanity. Now in order for Bruce to save the love of his life, he will have to travel across the country to locate the Four Pillars of Humanity. But it won’t be easy. Time will not be on Bruce’s side. If Bruce doesn’t succeed then all of humankind will be destroyed forever. The year is 227 B.C. The place is Rhodes, a Greek island. For ten years, Tessa of Delos has been in Glaucus’s ownership as his hetaera (an owned woman). Tessa had given up all hope. It seemed like she would never experience freedom again. It looked like the only way Tessa would gain her freedom was to take her own life. The Gods had another plan; they were looking down on her that day. Glaucus befalls a terrible fate, which will ultimately change things for Tessa forever. The next couple of days will be the hardest for Tessa and will require all her strength in order to survive. I want to thank Teresa Holler for offering to send me a copy of her book. Holler for Your Health: Be the Key to a Healthy Family is a wealth of wonderful, in-depth knowledge that everyone needs to arm themselves with in order to live a healthy, happy life. Author, Teresa Holler is a Physician Assistant with a masters degree in Primary Care Medicine. Within the pages of this book you will discover interesting facts about every day house hold items and how they can affect the human body and not for the best. Mrs. Holler helps explain how just changing simple habits can ensure you can decrease doctor’s visits. 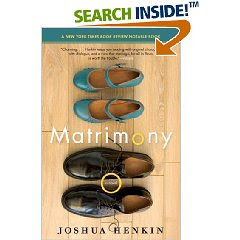 Thanks to Hachette Book Group http://www.hachettebookgroupusa.com/index.aspx they are letting me give away 5 copies of this book to 5 lucky readers. Thank you Hachette. Also because it is BBAW week this giveaway is part of these cool week. A couple of weeks ago, four teenagers, three boys and a girl went to the park late at night. Two of the boys were shot to death and the other boy, Ryan and the girl, Courtney are now missing. The missing boy, Ryan, is the grandson of the church's secretary. Father Kevin Burch, billionaire Robert Magellan's cousin, comes to him asking a favor. Father Burch wants Robert to fund the investigation of the disappearance of Ryan and Courtney. Father Burch knows Robert can relate as a year ago his wife and son mysteriously disappeared. Father Burch hires former detective turned private investigator Mallory Russo. Mallory teams up with Detective Charlie Wanamaker. Both Mallory and Charlie are determined to solve this case even if it means Ryan and Courtney are dead. The path Mallory and Charlie travel down will be a roller coaster of deceit and suspense. Here is my review for Witch like I promised. The war continues in Witch. Mirage and Miryo are now aware of each other as well as the fact that only one of them can live. There’s presently one problem…neither Mirage or Miryo are willing to kill each other. Now what will they do as there can be no more than one witch. It is not possible to have both Mirage and Miryo living as the longer they both live the stronger their magic will get and then the magic will be too strong for Miryo or Mirage to control. Mirage decides to take a gamble and try something with her and Miryo. What happens next will change for everyone involved. Also it seems that Mirage was not the only one to have a doppelganger; as time passes more and more doppelgangers start appearing. I am glad to share with you all a really cool and exciting fantasy books I discovered. These books Warrior and Witch were actually re-released in August. They were orginally one book called Doppelganger. My review for Warrior will appear today and tomorrow you can see my review for Witch. Victoria Gardella, vampire hunter, returns to her home in London. The homecoming she gets though is not one she was looking forward to. Instead Victoria has to deal with a vampire who is doing its killing during the day! For Victoria killing vampires is her specialty. This vampire is different. Victoria can’t locate this vampire, even using her sharp senses. As bodies start piling up, they all have one thing in common… the clues point to Victoria as the killer. As if Victoria doesn’t have enough problems to deal with; she also needs to make a choice between Max Pesaro, a vampire slayer or Sebastian Vioget, a vampire. Down to a Sunless Sea is a nice ecliptic collection of short stories. Down to a Sunless Sea features everything from growing up to dealing with death as well as dealing physical disabilities. Each story is only a few pages long but within those few pages are some very powerful, meaningful life lessons. In Down to a Sunless Sea is a sweet but sad story of a son who remembers loves his mother and all the good times as well as laughs they shared together. Then there is the story of a son who is so in awe of his father shining his shoes that he wants to open a shoe shining business during the summer in Herbie. In Nicholas, the student is beyond his years more advanced then the teacher. Or how about the one titled Arnold Schwarzenegger’s Father was a Nazi. Mr. Freese makes sure there is a story for everyone big or small…young or old. Head on over to Bookish Ruth http://www.bookishruth.com/2008/09/review-giveaway-keepsake-by-tess.html to enter to win a hardback copy of Tess Gerritsen's The Keepsake. I am so excited to share with you all my interview with Pamela S. Thibodeaux. I discovered her a few months ago and have read some of her books and enjoyed them. I hope that after reading my interview that you will want to check them out as well. Thank you, Cheryl for having me here! The best and the worst advice have been “write from your heart.” You see, writing from my heart is what I’ve always done, which is the reason it’s the best advice. However, what I write isn’t always accepted or is judged “less than” by Christian standards, which makes it the worst advice. J However, I am “true to thine own self” because I keep writing from my heart and trust God to open the doors of publication where He will. If you were not a writer what would you be? I read an incredible story. I have been reading more non fiction books lately and have found some of them to be very powerful. After the Fire is one of those books. Read my review and you will see why. Also Hachette Book Group was nice enough to offer to give away 5 copies of this book to readers in either the US or Canada. 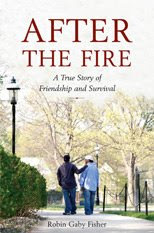 After the Fire: A True Story of Friendship and Survival is based on true events. It is under sad and unfortunate events that this story comes about. The day was January 19th, 2000, a day that no one will ever forget. On this fateful day a fire spread throughout the freshman dormitory halls of Seton Hall University. The fire claimed young three lives and injured many more. Robin Gaby Fisher tells the story of two room mates Shawn Simons and Alvaro Llanos and the angels of Saint Barnabas Hospital, who helped saved these two friends. Three friends; Whitney Lee, Hercules Huang, and Audrey Henley have been there for each other through the good times as well as the bad. There is one thing all three of these ladies agree on and that is…it’s hard being successful women. Whitney works for a law firm but she has a secret desire that not even Hercules and Audrey know about. Whitney wants to become a singer. Then there is restaurant owner and chef, Hercules Huang. She wants to have restaurants all over the world but there is one problem putting a cramp in the whole thing and that is Hercules’ father. Last but not least is Audrey Henley, who is the adopted daughter of a Texas billionaire. Audrey has the perfect life. She couldn’t ask for anything else expect for her parents approval of her boyfriend. 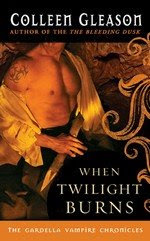 I am happy to share with you all one of the hottest books for YA readers. It is written by the J.B.B. Winner. They are a father-daughter-daughter team. Brittany and Brianna Winner are the Youngest award winning novels in the USA. 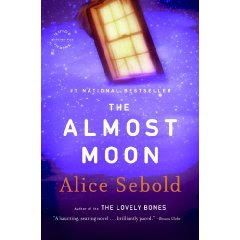 Their book The Strand Prophecy has won eight awards including "Best Young Adult Fiction", "Best First Book Fiction" and "Best First Book Young Adult Fiction". The WinnerTwins, as they are referred to, are 13 year old identical twins. Their book, started as a family project to assist them in overcoming their Dyslexia and focus on their strengths, not their weaknesses. The twins tour the country inspiring to overcome their challenges and motivating them to read and write. The book is the first of a series of five, the second is written and in edit and they are writing their third book. I am proud to help host Joy Nash's 50 Books in 50 Days, Book Giveaway. 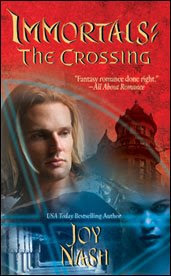 Joy is giving away 50 autographed copies of her latest book Immortals: The Crossing at 50 different locations. I received an ARC copy of this book and enjoyed it. You can read my review below. As you will see from my review I did not care for this book but I must be living on a different planet because six other people raved over this book on Amazon! Astrid Buchamps is a witch. A long time ago she fell in love with a teleport demon, named Fallon, who became her lover. They had a good thing going. Astrid never believed that she would ever see or touch Fallon again. Now they have a second chance with each other. It seems Astrid and Fallon aren’t the only ones stirring up some heat. Astrid’s friend, Ashlyn Co’shott has a crush on Feyd, who is Fallon’s friend. Everyone is enjoying themselves till Cassiel, a prince and one of the most powerful demons makes an Astrid an offer she can’t refuse. You never know what’s going to happen in Eververse. 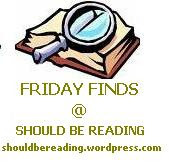 I am pleased to present my review on a book by one of my favorite authors...Cody McFadyen. His latest The Darker Side will be released September 30th. Someone has taken it upon themselves to deal out justice. A woman is murdered and the killer leaves behind a clue. It has to do with penitence and the victim paying for her sins. What sins could a nice, quiet woman who had no enemies be keeping? That’s what Smoky Barrett had her team are in charge of finding out. It seems this psychopathic killer actually wants Smoky to find him. He will do anything to get her attention, no matter how many people he has to kill. Smoky is ready to follow the path the killer has laid out for her and her team. Can Smoky deliver the final blow to this psychopath or will this killer make Smoky confess her sins before she meets her maker? James Purdew falls and breaks his leg on the stairs of his Amsterdam apartment. His girlfriend Ingrid leaves him and he finds that he can't remember the last three years of his life. James decides to dig out some old diaries of his in order to try and remember just who this James he can’t remember was? He is drawn back to the town of H in England; it is where he spent those lost three years. Once there James stays at a house that seems vaguely familiar to him. Upon entering James discovers that the house has secrets of its own. 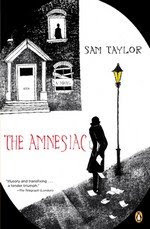 James locates an old manuscript of a murder mystery written by a man named Malcolm Trewvey. Who is Malcom Trewvey and what is his connection to James? The closer James gets to discovering the truth, the stranger James' surroundings get. Will James be able to connect all the pieces of the puzzle back together again before it's too late?